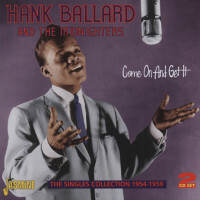 "Hank Ballard & The Midnighters"
Long before Motown officially put Detroit on the international musical map and humble little recording studios started popping up all over town in the mammoth wake of Hitsville U.S.A.'s unprecedented success, the Motor City could already lay claim to more than its share of street corner vocal groups, even if there weren't many local record labels to transfer their sweet harmonies onto wax during the 1950s. The modest imprints that did exist were mom-and-pop operations like Fortune Records, which released seminal mid-'50s vocal group sides by The Diablos, most notably their ethereal ballad The Wind. Nolan Strong, the lead tenor of The Diablos, was one of Smokey Robinson's principal influences. Other local singers opted to idolize the modern jazz-inflected harmonies of The Four Tops, who were a force around town for nearly a decade before Motown managed to pin them down to a longterm contract. 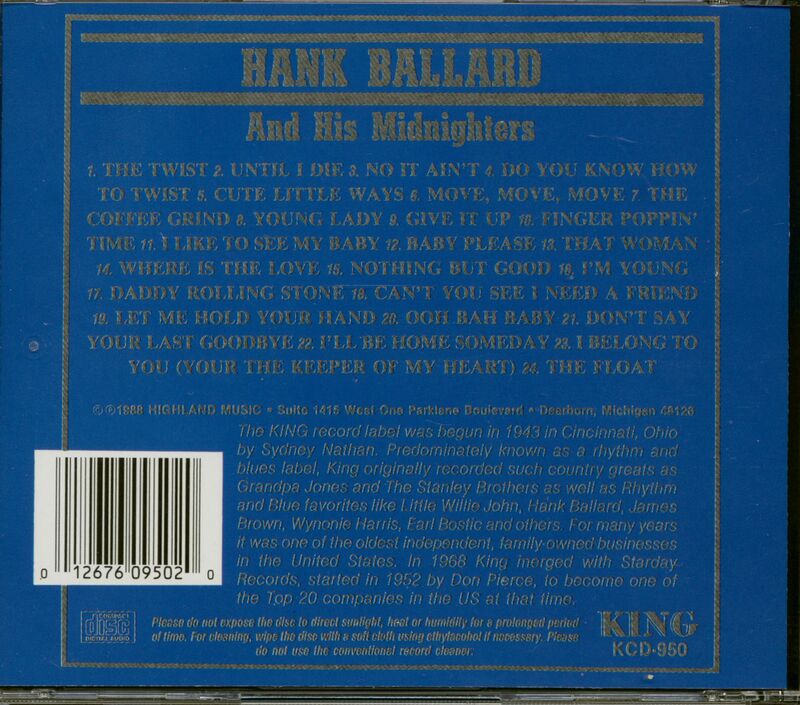 But for more than a few up-and-coming young aggregations, it didn't get any better than Hank Ballard and The Midnighters. They were the first Detroit R&B group to transcend their local standing to really make it big on a national basis, and Ballard was their chief source of material as well, composing nearly all of his group's hits and a great many more classics that didn't dent the charts. "The Midnighters were The Temptations before The Temptations in Detroit," exclaims Joe Harris, a member of The Peps during the '60s and eventually handpicked by Motown producer Norman Whitfield to be lead singer of The Undisputed Truth. "I was really deciding that this was what I wanted to do when I was hanging around those guys, 'cause they always seemed like they were having a lot of fun." Their impact wasn't limited to the Motor City. The Midnighters were the first professional vocal group young James Brown ever witnessed in person. He and Bobby Byrd were dazzled by their crowd-pleasing antics at the Greenville Textile Hall in Greenville, South Carolina, and they vowed one day soon they'd be onstage doing the very same thing. Recording initially for the Federal subsidiary of Cincinnati-based King Records and later the parent imprint itself, The Midnighters were hitmakers from 1954 on, when their salacious Work With Me Annie crashed the peak of the R&B hit parade and was one of the most important rhythm and blues waxings of the year. Its inherent raunchiness precipitated corporate hand-wringing from coast to coast as uptight radio programmers banned the leering anthem from their lily-white airwaves. But that didn't deter teenagers of every hue from buying the platter, even if they had to hide it from their disapproving parents. Ballard's piercing, slightly pinched lead tenor was quite invigorating and immediately identifiable. 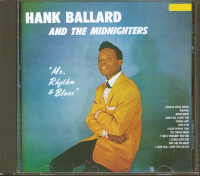 And not only were Hank and his Midnighters devastating on wax, concentrating primarily on blistering rockers and only occasionally slowing down for a blues-permeated ballad, they were relentless high-energy showmen, engaging in rowdy onstage routines that were as influential to their acolytes as their recordings. When it came to their raucous choreography, Hank readily deferred to his high-stepping mid-'50s group mates, tenor Henry Booth (a master at doing the splits who had started out with another Detroit group, The Serenaders), tenor/baritone Lawson Smith, and bass singer Ardra 'Sonny' Woods. "We created dances on the stage for the songs. If it looked good and everybody liked it, and the three of us liked it, we'd keep it in. Because Hank didn't dance," says Norman Thrasher, who replaced Woods in 1957. "We all did the splits. We created the dances on how we would feel, 'cause each one of us would take an individual part on the stage doing 'The Twist' or doing 'Finger Poppin' Time' or doing 'Let's Go.' Then we had those comical outfits up under our clothes. I would have them big drawers on, them big bloomers on. And I'd jump off the stage, dance up the aisles, and pull 'em off and hit folks in the head with 'em!" 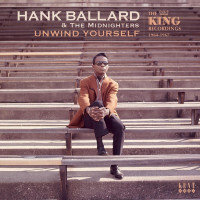 Although King Records inevitably placed a solo photo of Hank on their album covers, this was a full-fledged vocal group whose shenanigans deeply impacted the next generation of Motor City vocal aggregations. "We always had patterned our group after The Midnighters," says Joe Billingslea of The Contours, who gave Motown one of its first R&B chart-toppers in 1962 with their gritty Do You Love Me. The Contours' amazing acrobatics followed in the athletic footsteps of The Midnighters, and their first audition for Berry Gordy reflected the impact of their heroes on their repertoire. 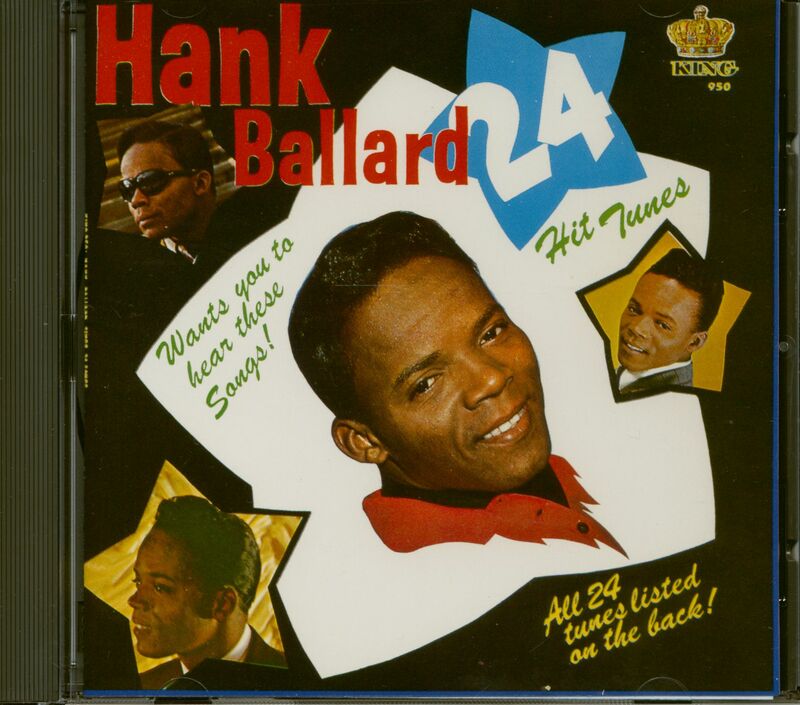 "We did 'Whole Lotta Woman,' 'Come On And Be Mine,' and another song, probably one of Hank Ballard and The Midnighters' songs, because we were definitely Midnighters fans," says Billingslea. "We patterned our routines after The Midnighters." "We had been on a show with those guys," says The Contours' Billy Hoggs. "They helped us out a few times when we did a show with them. We went backstage and talked to 'em, and asked them what did they think they could criticize us on that we need to improve. And they told us a few pointers. Anytime we were on a show with someone more adept, or more experienced in the field, we'd ask them suggestions. And then we would incorporate it." Ballard wasn't even part of the group when they began recording, and they didn't start out as The Midnighters. Their genesis goes back to 1950, when original lead tenor Charles Sutton joined forces with three more denizens of Detroit's East Side--Booth, Woods, and baritone Freddie Pride (a close friend of Jackie Wilson's, who was part of their musical social circle along with future Four Tops lead Levi Stubbs)--to form The Royals. An early promotional blurb from King Records claimed they'd originally been known as The Four Falcons. Entranced by the beautiful harmonies of out-of-town hitmakers such as The Orioles, Five Keys, and Dominoes, they fashioned a repertoire heavy on ballads. Also part of their fledgling group was the more experienced Alonzo Tucker (probably born November 21, 1915), who would serve as one of their primary songwriters and arrangers and knew his way around a guitar. When Pride was drafted into the military, Lawson Smith took his place. Customer evaluation for "24 Hit Tunes (CD)"